Ancient Explorer. Researcher. Storyteller. Nature Lover. Australian. I’m an archaeologist educated at the Australian National University in Canberra. I was trained to read landscapes by walking and excavating historical places in Regional Australia, including towns and mining sites. With my trained eye and tool kit, I set off to South America, where I began to explore the ancient world of the Inkas. I have now been conducting research in the Central Andes for over a decade and my research focuses on mythopoeia, the landscape and ceremony. In 2015, I was awarded a PhD after writing a dissertation on Inka human sacrifice and the sacred landscape. While learning to become an archaeologist, I also began working with children as an educator and facilitator. In 2017, I established Ancient Explorer to inspire people to explore the ancient world with curiosity and respect, following the steps of an archaeologist. Inspired by what I experienced and learnt in the Andes, I am passionate about helping others to overcome challenges and adversity and build a deeper connection with themselves, others and nature through creative play and ceremony. After returning home from the field in 2011, I rediscovered the joy of creating art. My initial inspiration was an insightful conversation and coca leaf reading I had with a maestro, a ritual specialist, in Cusco. The maestro’s message was clear: life is about doing things that make us feel alive and joyful. Whilst watercolour is my first love, I create with other substances, including textiles and clay. My art draws inspiration from traditional Andean cosmology and in particular, the belief that all facets of natural and human worlds are alive and interconnected. Often, old stories and myths come to life in my pieces. I create a series of illustrations featuring a character called ‘Little Earth Mama’, inspired by the Andean depictions of their Earth goddess, Pachamama. 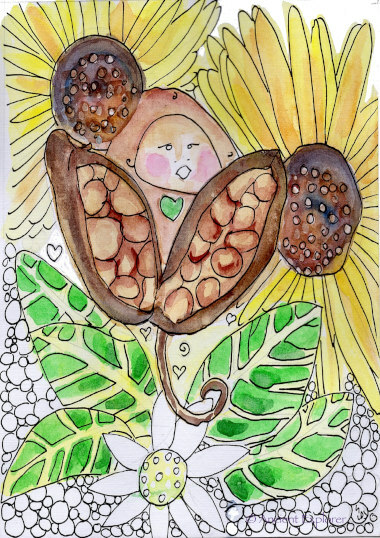 This quaint and sweet character aims to inspire joy and delight in others, while reminding us of our special connection with our primordial mother, Mother Earth. 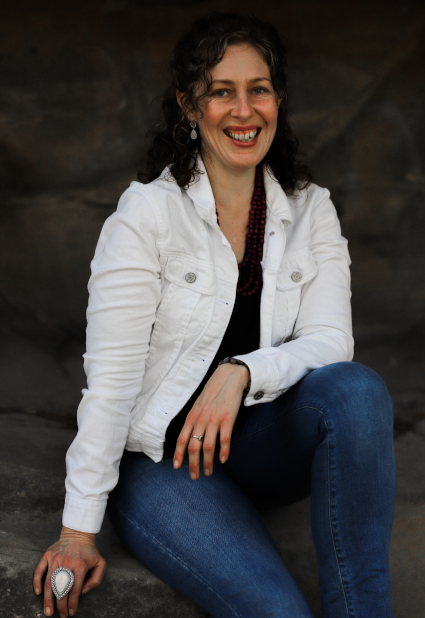 Little Earth Mama made her first appearance in print in Wellbeing Magazine in 2018. Especially for children, I have created a team of ancient explorers. They are the main characters featured in our workshops and resources. Team Ancient Explorer aims to inspire young children, no matter where they live or their background, to explore with respect and wonder our amazing planet and help solve mysteries of our ancient and world. 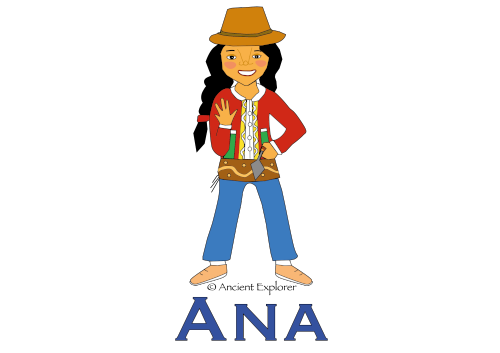 Ana Solana is from Cusco, Peru and is learning to become an archaeologist. She is the team leader from Latin America. She speaks Spanish, Quechua and English and loves to play dress-ups. 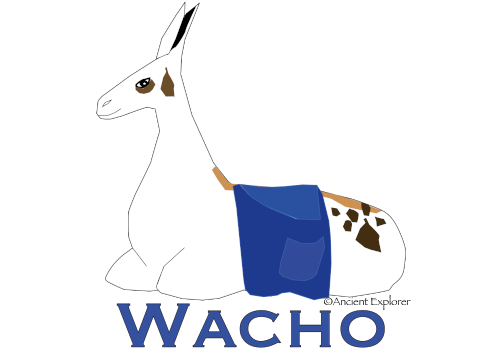 Wacho, the spotted llama, is a good friend of Ana’s and accompanies her when she goes on archaeological digs in the Andes. While he doesn’t really like to dig, he happily helps out by hauling buckets and carrying equipment. 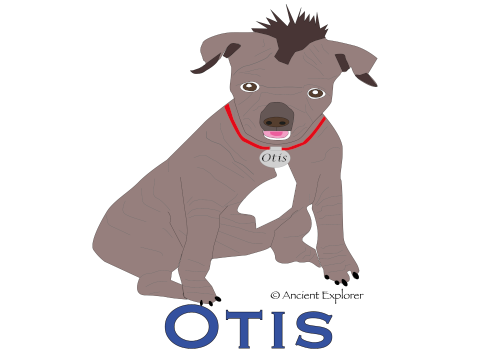 Otis is a hairless Inka Orchid puppy and a good friend of Ana’s. Like Wacho, he accompanies Ana when she goes exploring, but in contrast to his woolly friend, he loves to dig. 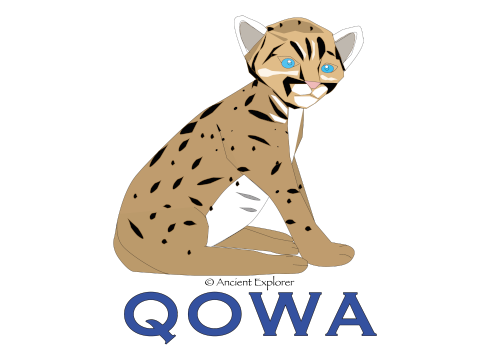 Qowa, the puma cub, is the mascot of Cusco, Peru. She loves to help Ana explore the ancient Inka city. My artwork is available for licensing with companies and publisher’s who wish to create unique high-quality products. It transfers beautifully into a variety of products, such as including gift cards, calendars, jewellery, greeting cards, and much more. Any artwork licensed will be provided as high-resolution files without the watermark. All artwork contained in this website, including portfolio pages, are low-resolution files for online viewing purposes only.